This is an amended version of the letter from DOTARS to AFP Commissioner Keelty, which is presented in the Transit Report. This version includes a comment from another letter, by Minister for Justice & Customs Christopher Ellison, stating that "We also understand that SACL does not have a listing of the 4th baggage item having been recorded by the checked baggage system". 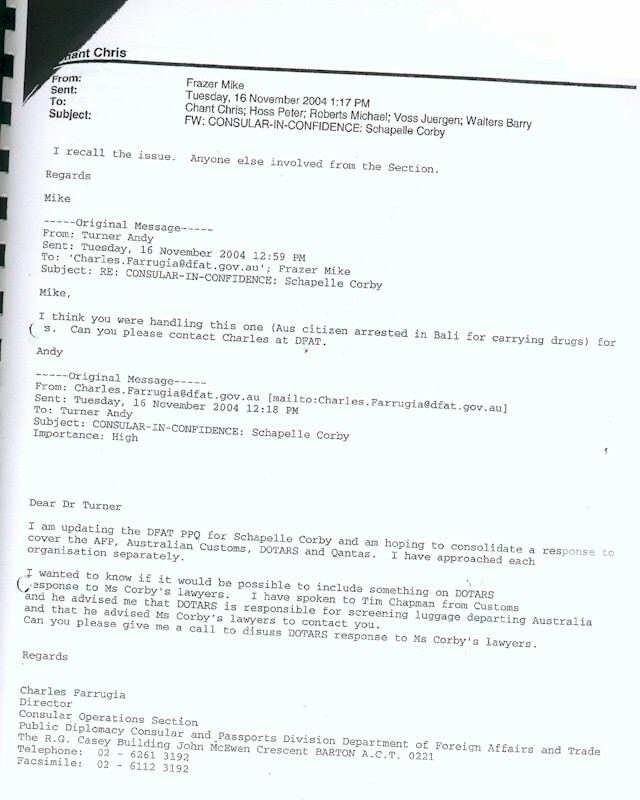 The vital information, that the boogie-board bag was the ONLY bag not scanned at Sydney Airport, was withheld from Schapelle Corby and her lawyers, when they asked directly about baggage transfer, and x-ray scanning, in July 2005.